Most people dream of living in a warm climate and certainly those that take the risk never appear to regret it, this is the story of our friend and local radio presenter Robin North. Robin is a British Citizen living full time in Lanzarote and making the best of his retirement, we caught up with him over the weekend to get his perspective on living in Lanzarote. What made you settle in Lanzarote? After a serious illness and being forced to take ‘voluntary redundancy’ we spent some time visiting Lanzarote and the Caribbean, my wife and I decided we would like to move abroad. 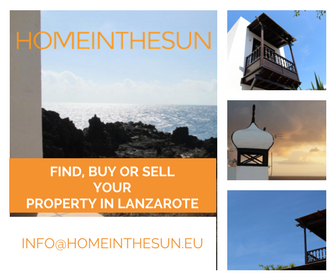 We spent a while travelling around the Carribbean looking at various properties however it was on a return visit to Lanzarote that we finally decided this was where we wanted to be. We stayed in Playa Blanca for the very first time and fell in love with it, we found the perfect house, bought it and relocated soon after. What do you like about life in Lanzarote? Answer is everything! I’m a person that never gets bored, sadly a couple of years after moving to Lanzarote my wife passed away. I was incredibly lonely and decided to volunteer in English classes and language exchange (intercambio), as well as taking Spanish classes, it was the best thing I’ve done. I have met lots of different and interesting people from all nationalities and being able to speak some Spanish has definitely helped! How did you start working in radio? At one of my intercambio meetings I met Jerry, he had just launched his own radio program ‘The Mix Lanzarote‘ with a colleague of his Sarah. They kindly invited me to take part in the show, even though I had never worked in radio before! The radio program has taught me many different skills that that are closely aligned to my computer skills, and enabled to me to meet a variety of new people. The radio show is aimed, like its name, to have interviews and so on in a mix of languages. This is exactly what they deliver, interviewing people that live on the island both in Spanish and English. Do you have any advice for someone who is considering relocating here? I have lived here for more than 6 years and I am convinced the happiness I find here is because I work hard everyday to find it. Aside from the good weather and a great vibe, learning the language and integrating with your local community opens up many doors and opportunities should you choose to dive in! You can listen to the Mix every Friday and Saturday or just pop by their show in Biosfera on Saturday and meet the team Nuria, Jerry, Robin, Sarah and Mike or tune in to Ondas Yaiza 98.9 or Playa Blanca 107.5.